“Before registering, I’ve always struggled with getting high-priority items done consistently and systematically. Follow through was always a challenge – I really couldn’t fathom how some people could remember things 3 weeks, 3 months or 3 years from now! What was missing was a personal system to make all of this happen. Time Ninja has solved all of this in an incredibly short period of time. It was almost like becoming Type A overnight. I’m getting more done before 9AM on a routine basis than I would in 1-2 days prior. I suddenly have the time to take on higher-level tasks without feeling overwhelmed. I have loved Time Ninja! I'm someone that takes pride in using time efficiently, but this course has taken me to the next level. Especially since I am a new entrepreneur that *almost* has the opposite problem of a lot of people in the course. This course has helped me define my priorities, taught me how to capture and dump information in an effective way, taught me how to be more productive and less reactive, helped me organize time chunks for optimal performance, given new insights on the importance of self-care, and offered an abundance of resources on further education and VAs. “Before Time Ninja, I struggled juggling the myriad challenges a working actor faces in New York City; 8 shows a week, training (voice/acting/dance/gym), PT/acupuncture, getting groceries, cooking, auditioning for my next show, commuting, studying to write a personal training certification exam AND spending time with my girlfriend. As I’ve worked through the course and developed better habits, I feel WAY more present, engaged, and happy. It’s like I have…more time. “I have thoroughly enjoyed this journey. It has been humbling, exciting - and damn, I still have work to do. I feel like I'm back in the driver's seat. "I signed up for Time Ninja because my life was a beautiful hurricane, and I wanted to be the one controlling my life. In this course, more than anything, I learned to be conscious of where I was spending my time. It's incredible how much time gets lost to nothingness when you're not focusing your attention. If you want to feel happy, calm, and organized, you have to plan for it. Mark and Michael taught me how to eliminate the mishegos and really think about exactly what I wanted and how exactly how to prioritize only that. The course will pay for itself a million times over once you become the CEO of your life." “Time is our most precious commodity and too many people take it for granted. As an entrepreneur we're always focused on speed, speed, speed and we rarely get a chance to step back to see if what we're doing is really the most important daily tasks. Spending the time going through Time Ninja helped to reevaluate my current strategy and focus on the activities that get me closer to my goal and avoiding the energy draining ones that get me further from it." “Time Ninja has restored my relationship with Time. I started this course burnt out and frazzled. Now, I feel far less stressed because I'm in control of my day. The process started with admitting I needed some help and actually signing up. During the in-person workshop, we identified some immediate action steps and laid a great foundation. The accountability and support provided over the last few weeks has been the real game changer. This program is far more than a lesson in managing time." 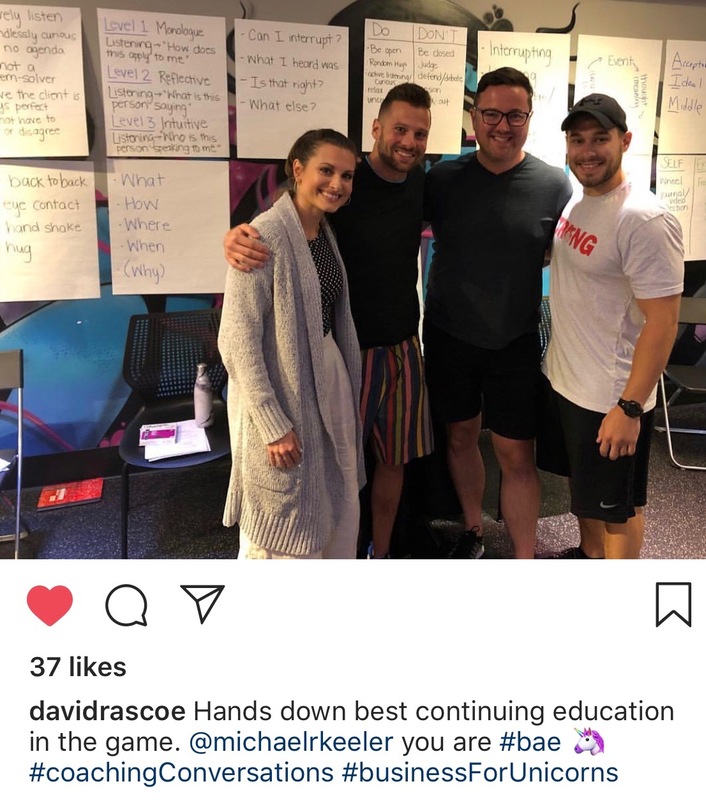 "Inspired, encouraged, and guided towards... the best decisions I have ever made..."
"Hands down the best continuing education in the game." 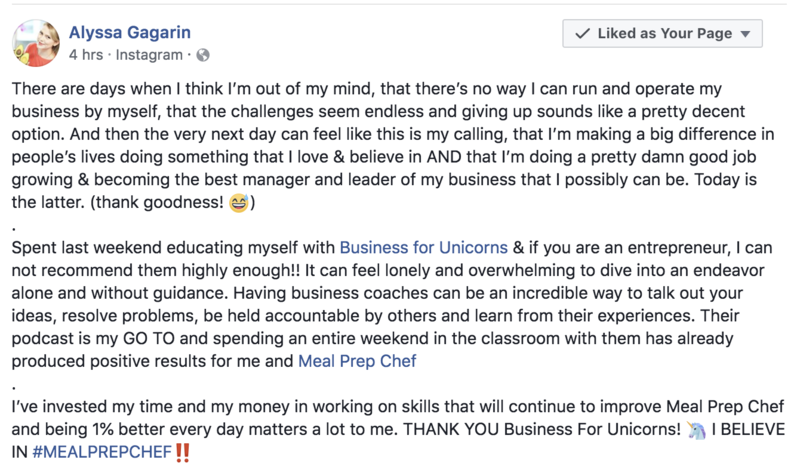 "Having business coaches can be an incredible way to talk out your ideas, resolve problems..."
“As a senior manager for the last 8 years I’ve always been aware of the culture I want to create with my team, but I honestly never thought about how I could build a business around that culture. My idea of starting my own business always got stuck on a formula of a business plan from my university days and an operational budget/cashflow that felt too risky.